indyhallcoffee: Cool Stuff, great to see folks taking their coffee seriously…hats off to Indy Hall! 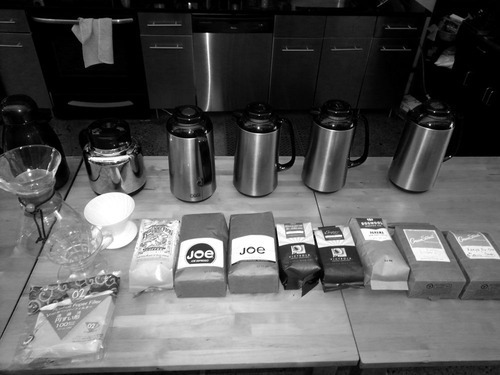 Indy Hall, a thriving coworking community in Philadelphia with a thirst for great coffee, has been brewing blends by One Village Coffee and La Colombe for almost two years. With a recent influx of new members over that same period 2012-2013 (doubling the total membership – now roughly 250) we decided it was time to hold another taste-off and see what the members would be most interested in drinking.